Morgan Blue is probably the most widely used bike and body maintenance range in the cycling industry, and certainly is within the peloton, as they supply over 20 professional teams including Sky, Garmin and Lampre. Not known for it’s PR razzmatazz or aesthetic appeal, Morgan Blue offers up something special that obviously appeals to the pro’s, how else would you get them to part with their cash. What ever the secret, thanks to the Belgian brand teaming up with UK importer Windwave British consumers will be able to give it a try. The first batch of lubricants, greases, oils and cleaners are expected to arrive on these shores any day now. We often talk of the cycling boom and more bums on saddles, but when it comes to kids road and cross specific bikes we don’t usually hear of record sales. As the new generation will bring the next aspiring champion, we thought it was brilliant news that Moda has been selling the new Junior, Minor and Major range, like hot cakes. The Moda Minor and the Minor X, the smallest Moda, has been designed for smaller arm and leg lengths along with mini bars to suit small hands too. Whilst the Major and Major X have also been given the similar treatment for the slight bigger youth. 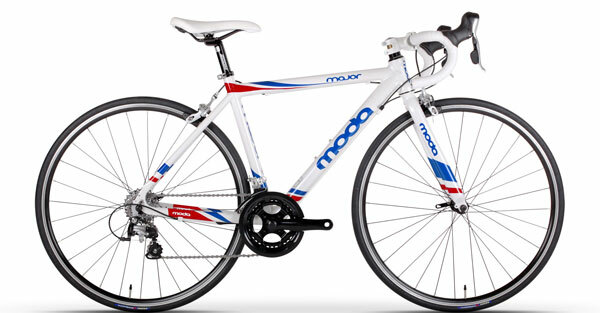 All use butted 7005 aluminium, come in a pearl white, blue and red colour scheme and cost under £500. A great package to introduce drop handlebar racers to the younger generation. It does seems like we are forever cycling in darkness at this time of year and with most of us making our bikes light up like a Christmas tree, we often forget about making the body visible too. 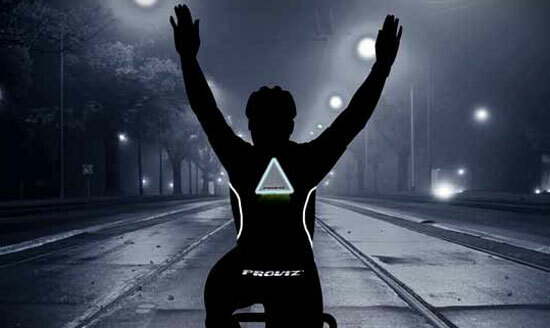 Proviz has launched a new Nightrider range, not to be confused with the crime busting car, but a new Hi-viz clothing set, which has an interchangeable feature to be used with ‘Triviz’. As well as the usual brightly coloured, reflective panels the Trivis adds an aluminised battery powered triangle for extra impact. The range, which includes Nightrider jacket, rucksacks, bags and vests start from £23.49, whilst the interchangeable Triviz system will set you back £34.99.